In our exclusive BCP Battle Packs two unique cigar blends duke it out in a fight to the finish. The prize? A permanent place in your humidor. Flavor-flush heavy hitter CAO Pilon gets in the ring with Brazilian-wrapped beat-down king Brick House Maduro. Only your palate can decide the victor. Sampler contains 5 cigars of each contender. 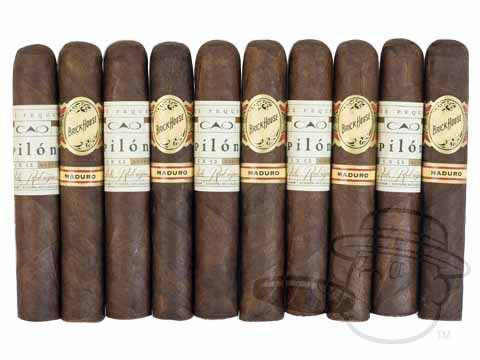 Bcp Battle Packs - Cao Pilon Vs. Brick House is rated 4.5 out of 5 based on 2 customer ratings.